Both the companies will team up in India for producing content and they will, individually, invest up to Rs 1,000 crores to acquire and produce films and digital original content across all languages. 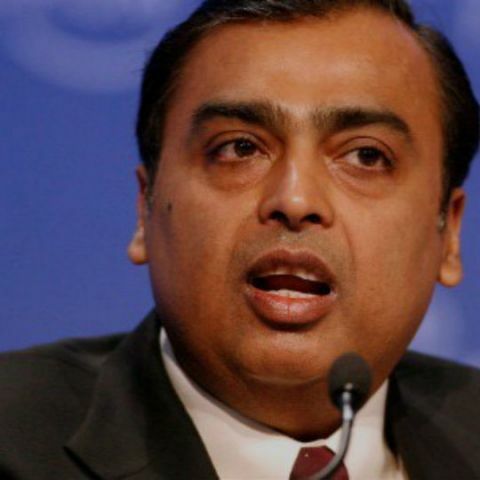 Reliance Industries Limited and Eros International PLC have announced that the former will buy 5% equity stake in the latter and both the companies will partner up in India for producing and consolidating content from across the country. Shri Mukesh Ambani, Chairman & Managing Director, RIL commented, “We are pleased to join hands with Eros, as it will bring further synergies into our plans, making for a win-win partnership. We are delighted to welcome Ms. Jyoti Deshpande into the Reliance family and believe that she will not only give wings to our plans but also play a pivotal role in transforming the sector.” Both the firms will invest up to Rs 1,000 crores to acquire and produce films and digital original content across all languages. Reliance Industries Limited (“RIL”) and Eros International PLC (“Eros”) announced today that RIL, through a subsidiary, has agreed to subscribe to a 5% equity stake in NYSE listed Eros at a price of USD15 per share, which represents an 18% premium to last closing price. The transaction is subject to customary regulatory and other approvals. Furthermore, RIL and Eros International Media Limited (“Eros India”) announced that they have agreed to partner in India to jointly produce and consolidate content from across India. The parties will equally invest up to INR 1,000 crores in aggregate (approximately USD150 million) to produce and acquire Indian films and digital originals across all languages. In addition, it was announced that Ms. Jyoti Deshpande, Group CEO and MD of Eros will be stepping down from her Executive role after more than 17 years in Eros and move on to head the Media and Entertainment business at RIL as President of the Chairman’s Office. Ms. Deshpande will start her role at RIL from April 2018, but will continue to remain as a Non-Executive Director on the Board of Eros. Mr. Kishore Lulla will resume his position of Group Chairman and CEO of Eros. In her new role at RIL, Ms. Deshpande will lead the company’s initiatives in Media and Entertainment to organically build and grow businesses around the content ecosystem such as Broadcasting, Films, Sports, Music, Digital, Gaming, Animation etc., as well as integrate RIL’s existing media investments such as Viacom and Balaji Telefilms with a view to build, scale and consolidate the fragmented USD 20 billion Indian M&E sector. Ms. Jyoti Deshpande commented, “Having worked and associated with Eros group since 1998, it has been an integral part of my professional career and I extend my heartfelt thanks to Kishore Lulla and the Eros family for the opportunity to build an amazing company together. I am delighted that RIL has strategically aligned with Eros, so the association continues. My new assignment at RIL will allow me to push boundaries, set new standards of excellence, assemble a world-class young leadership team and adopt a collaborative approach to architect and execute this ambition in true RIL tradition. I am genuinely honored and humbled to have been granted this opportunity but more than anything I cannot wait to roll up my sleeves”.